I posted this on the General Caribbean forum and figured it really belongs here. 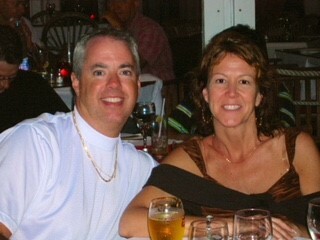 We took a short, 5-day Royal Caribbean cruise out of Fort Lauderdale during Thanksgiving week. We have been wanting to go to Cuba for a while, but the price for most cruises were too high. This one was reasonable so we took it. It had one stop in Key West, and an overnight stop in Havana. We actually arrived in Havana Thanksgiving morning and left at 1 pm the next day. We only live 30 minutes from the port, so we took a Uber for about $33. That worked fine, but there were no Ubers available when we got back to port, so it was $55 taxi back home. Not sure what happened with Uber. After a day at sea, we made a port stop at Key West. It is not that far to Key West, so the ship was only going about 9 knots. That made for a really nice at sea day with very little wind on the top decks. We walked into town an took the Conch Train tour of the city. The ship left for Cuba at 5 pm. We arrived in Havana around 7 am and had to wait for the Cuban authorities to clear the ship. Not included in the price for the cruise was the $75 each Cuban visa fee that was added to the room charge. Also, because this is Cuba, you are required book a "full day" cultural excursion either through the ship or on your own. The Royal Caribbean excursions are guaranteed to meet the State Department requirements for visiting Cuba. There are other ways to meet the State Department requirement, such as visiting relatives, but I suspect most people on the ship used a ship excursion. We took the Easy Havana bus tour that was a 4 hour tour that was supposed to start at 10:15. We had to gather in one of the dining rooms and wait for clearance. Unlike most cruises, we had to individually clear Cuban passport control. They had told us that we would not need Cuban currency on the trip and should wait until after the tour to change our money. They use a CUC for tourists and Cubans are not supposed to take US dollars. I wish I would have gotten some CUCs at the dock, but I was able to exchange money when we stopped at a large market near the cruise ship. Once cleared, the tour lasted from 10:20 am to about 3:00 pm. We stopped at the Guidi of Havana art neighborhood, the Christ of Havana statute overlooking the harbor, the house of Che, Independence Plaza, a stop to buy Cuban cigars (US dollars were accepted at this store). The final stop was at a craft market where I was able to convert US dollars into CUC). It was a good tour and the guide gave us a lot of information. However, there was no provision for lunch, or even getting food on the excursion, so we were really hungry when the tour ended. We asked the guide for suggestions for food and she directed us to the town square for Old Havana where we had a wonderful late lunch at the La Vitrola. We had plans to go to the Facturia de Arte (art factory that was converted from an old sugar factory) for dinner, so we went back to the ship to convert more US dollars into CUC, clean up, and rest a little. The waitress where we had lunch told us that we could get taxis at a hotel just up the alley from the restaurant, so we walked back to the restaurant and started walking. After walking about 6 blocks up this dark alley, we paid 2 CUC for a bicycle rickshaw ride to the hotel which was another 6 blocks to a hotel where taxis hang out. It took some bargaining but we got a 15 minute taxi ride for 10 CUC to the Art Factory, where we had dinner and looked at the art. There was even some dancing going on, but we were not skillful enough to join them. It was not easy, but we got a 10 CUC taxi ride back to the ship at about 11:00 pm. It is really safe in Havana, so we were not worried as were wandered the streets at night. After breakfast the next day we left the ship to find our own personal tour of the city. As we left the doors of the port there was a 1959 Ford Fairlane 500 convertible just finishing up a tour. For 50 CUCs we got a one hour tour. The driver did not have really good English, but it was enough to give us a good tour. His father had bought the car years ago, so it was still in the family. We saw a lot of 1950s US cars around, but most seemed to be for the tourist trade. The road were in pretty good shape but there was not a lot of traffic, and most of the cars seemed to be boring Lada and other Russian-like cars. We did not need to be back on board until noon, so we walked back to the square for a latte and some juice. There were a lot of people around and it turned out that the Cuban President and the President of Spain were in the area. We followed the crowd back to across from the port where they got into their black Mercedes and drive away. The ship left Havana at 1 pm and arrived back in the Port of Fort Lauderdale at 7 am the next day. This time the ship was traveling around 19 knots, so it was a little windy on the top decks leaving Cuba. Thanks for the report. I would love to visit Cuba one of these days As of now it seems like cruises are the way to go. My wife is Canadian, and went to Cuba on a very inexpensive resort vacation from Montreal about 16 years ago with her daughter. That option is not available to Americans yet. Most of the cruises to Cuba are expensive. This was cruise was more than a typical 5-day cruise, but not too much more. Plus the $75 Cuban visa and the required tour. The Cuban authorities were very detailed in their initial clearance but after that we just came and went as we pleased.